Joe McCoubrey © 16 May 2013. Now and again, as a reader, you come across a new author who reminds you that the art of storytelling is not so very complicated – you just have to know what you’re doing! Only the best make it look easy, and Swedish debutant Alexander Soderberg falls into that category. 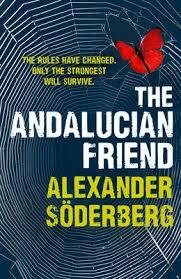 Whilst it’s true that Soderberg’s “The Andalucian Friend” is his debut novel, he is anything but new to the writing game. 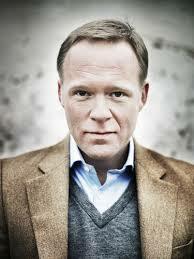 He has worked as a screenwriter, editor, and scriptdoctor, mostly in Swedish television, where he has garnered a solid reputation for producing results. It would be inevitable to try to make comparisons with the legend that is his countryman, Stieg Larsson, but that would be grossly unfair at such an early stage in Soderberg’s book-creating journey. 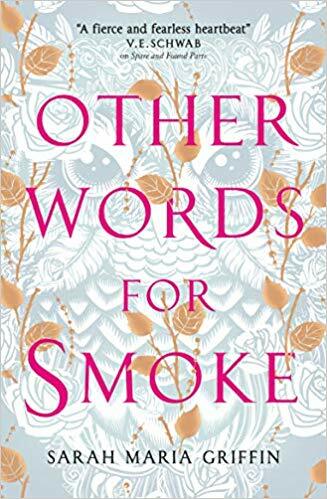 First published more than a year ago under the title Den andalusiske vännen, the book was snapped up by Harvill Secker of the Random House Group in London. Rights have sold in 33 countries, and the novel has been optioned for film. Soderberg says the key to writing for him is routine. At 7:45, he drives his kids to school, walks his dog, then sits down to work until 2:00 in the afternoon. It took him about two and a half years to write his first novel. “Time is important when you write. To have the time to put away your work for a while, let the story rest and take a look at it with new fresh eyes. No one knew about the book so I had time on my side. How do you plan your writing? Are you a detailed plotter or do you “go with the flow”? I have an office in my house. But it is a mess right now, I don’t know why. I can’t even go up there. Nor can the cleaning lady. She hates the office, refuses to go there. So I find other places. My favourite writing space at the moment is a room with a panoramic window, facing south. I see for miles from there. Better than TV. Who are your favourite authors? What draws you to them? Where do you stand on the subject of e-books? How do you judge your success? Is writing now a full-time career for you? What are your interests away from writing? The translator was Neil Smith, who remembers being contacted by the Salomonsson Agency in September 2011 with a request to translate a fairly large sample of a new book at very short notice. “I was intrigued. The Salomonsson Agency has an enviable track record, and the fact that they were convinced that this new acquisition was going to be big, and was worth getting a last-minute sample produced in time for the Frankfurt Book Fair, was enough to persuade me to take a look at the manuscript. Joe McCoubrey is a former journalist who reported first hand the height of the Northern Ireland ‘Troubles’ throughout the 1970’s and 1980’s, firstly as a local newspaper Editor, and then as a partner in an agency supplying copy to national newspapers and broadcasters. He switched careers to help start a Local Enterprise Agency providing advice and support to budding entrepreneurs in his native town and became its full-time CEO. He retired to concentrate on a long-time ambition to be a full-time writer. Someone Has to Pay is his first novel.